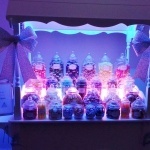 Price from £252 based on up to 3 hours hire catering for up to 50 guests. 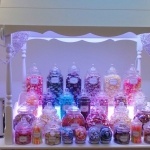 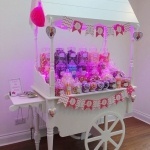 Deliciously Sweet are a bespoke sweet confectionery company, serving delicious and magical treats for you and your guests. 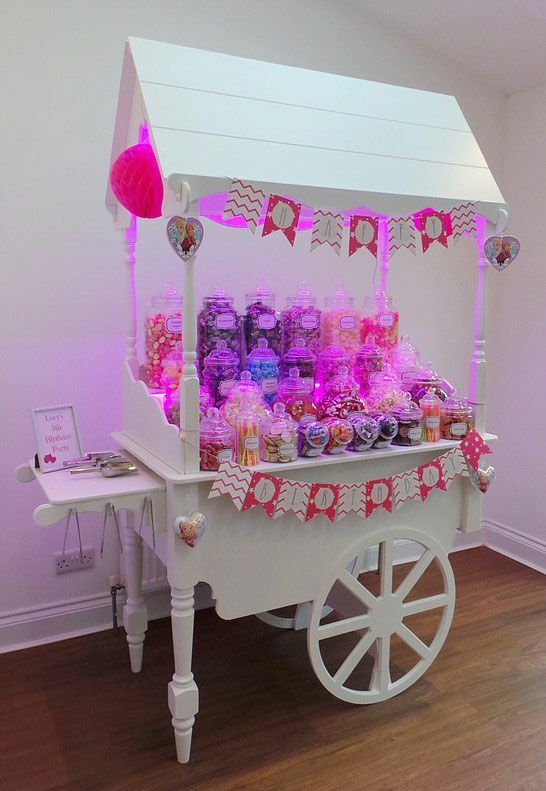 From Midget Gums, Milk Bottles, Bon Bons, Sherbet Lemons and Kola Kubes just to name a few, Deliciously Sweet provide the highest quality sweets beautifully presented in a handcrafted Candy Cart. 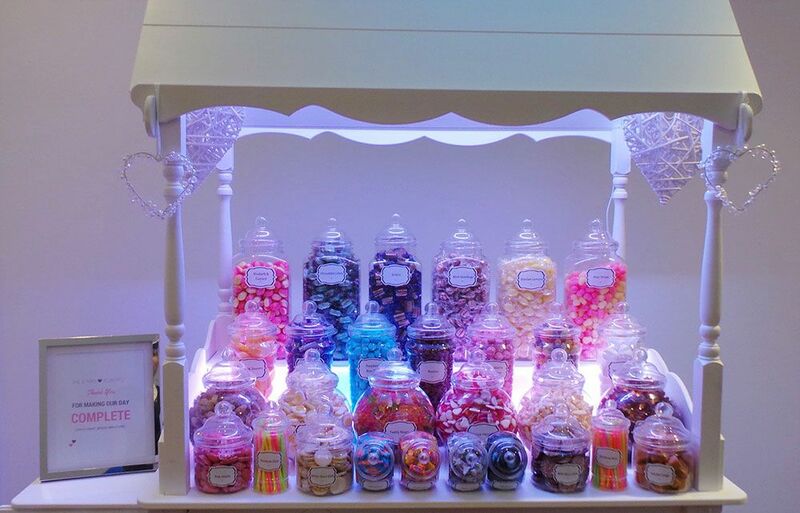 Welcome to Deliciously Sweet, a bespoke sweet confectionery company, serving delicious and magical treats for you and your guests. 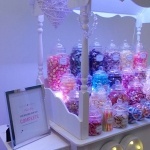 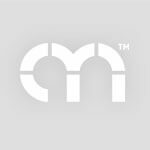 With two studios based in Surbiton, Surrey and Peterborough, Cambridgeshire, Deliciously Sweet can cater for events across the country. 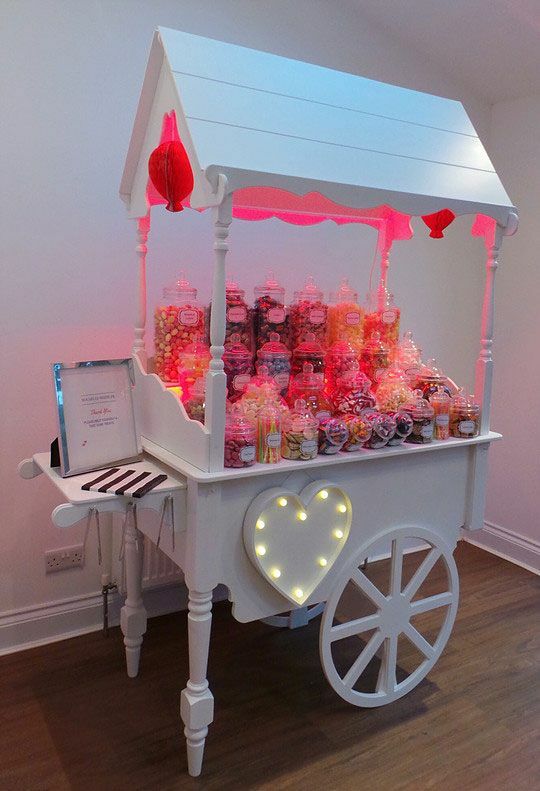 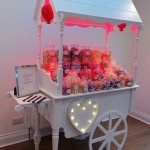 Providing a beautiful handcrafted Candy Cart is available for any type of event, so far Deliciously Sweet have attended: Corporate Functions, Family Celebrations, Birthday Parties, Weddings, Christenings, Baby Showers, Proms and Charity Balls - there's always an excuse for sweets. 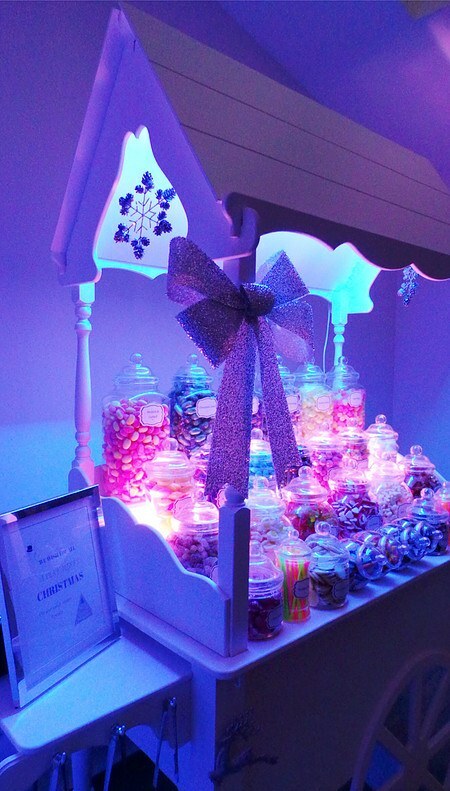 Deliciously Sweet’s packages are bespoke and can be tailored to your events specific requirements from the number of guests, budget, variety of sweets and decor styling to match your theme. 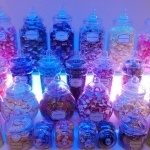 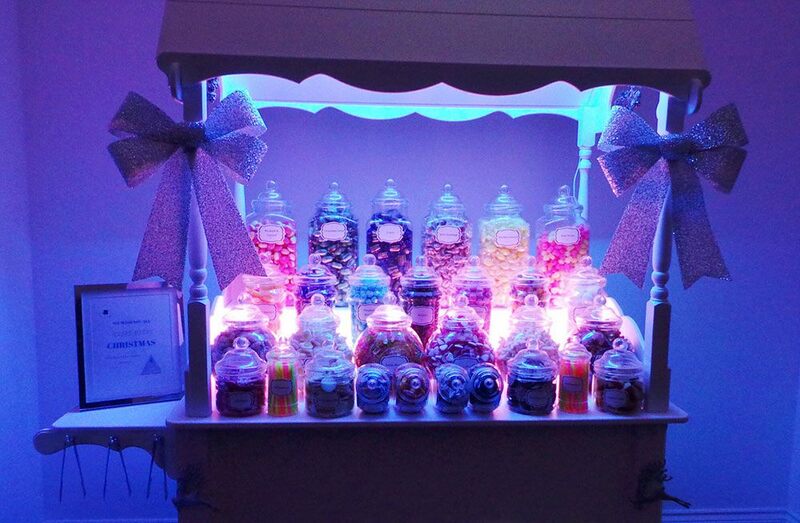 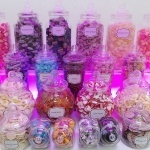 With an end goal to make your event truly unique and memorable by offering the highest quality sweets and providing first class customer service, Deliciously Sweet are a reliable company that will go that always go that extra mile. 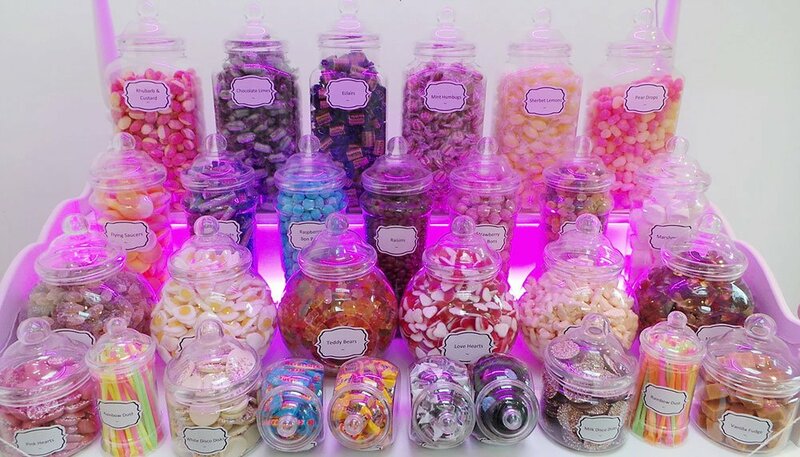 Able to source all of your old-time favourites from Midget Gums, Milk Bottles, Bon Bons, Sherbet Lemons and Kola Kubes just to name a few. 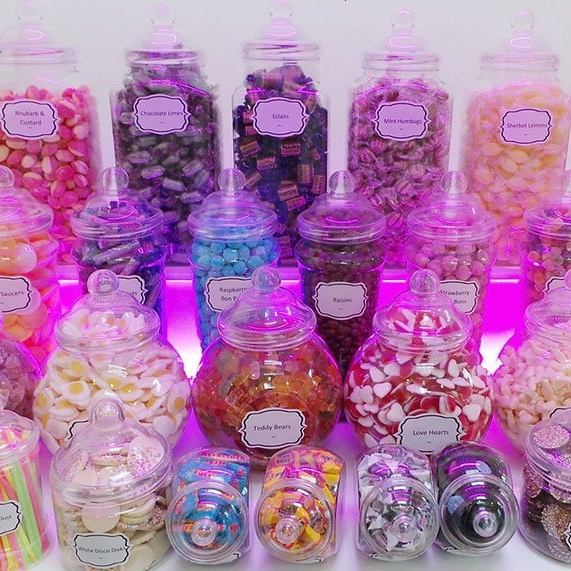 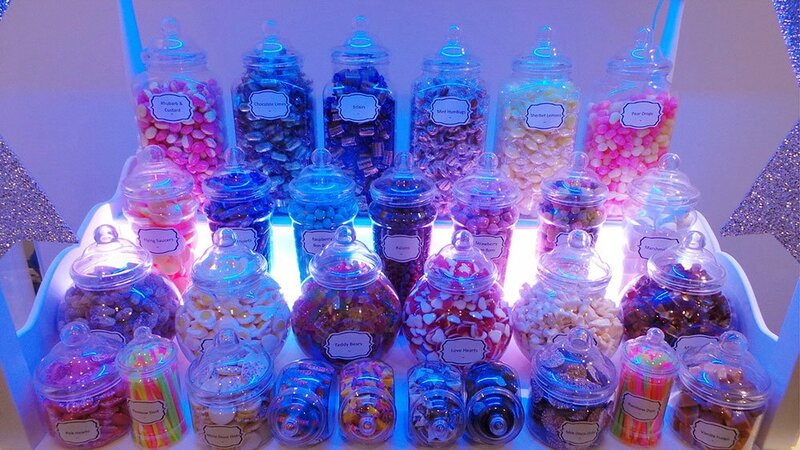 All sweets are sourced from the best British confectioners and are of the highest quality. 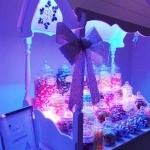 Please note: Standard prices includes catering for up to 50 guests. 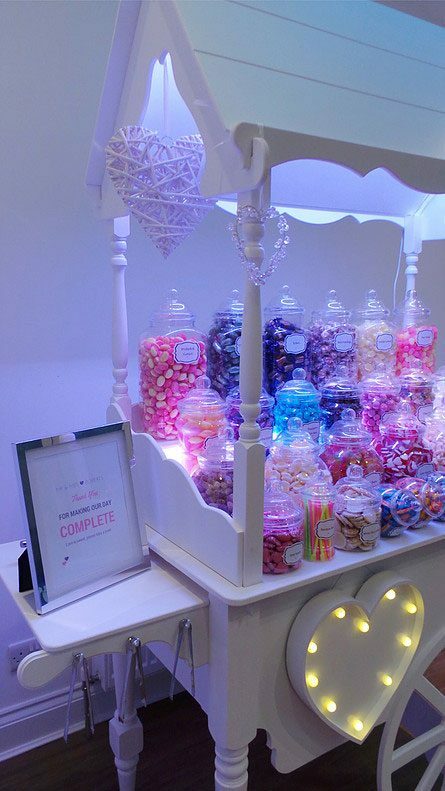 For larger events please see booking options.